Gameplay in Fallout centers around the game world, visiting locations and interacting with the local inhabitants. Occasionally, inhabitants will be immersed in dilemmas which the player may choose to solve in order to acquire karma and experience points. 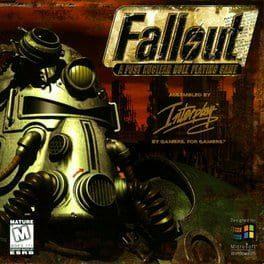 Fallout deviates from most role-playing video games in that it often allows for the player to complete tasks in multiple ways, often choosing solutions that are unconventional or even contrary to the original task, in which case the player may still be rewarded. The player's actions may ultimately dictate the ending of the game, or what future story or gameplay opportunities are available. Fallout is available from 3.99 to 9.09 from 1 shops.